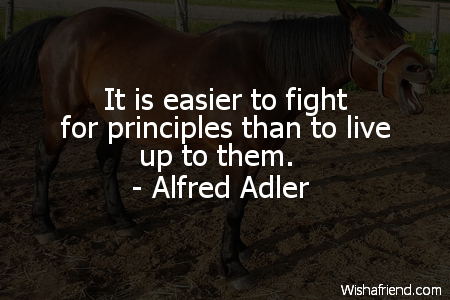 Alfred Adler Quote: It is easier to fight for principles than to live up to them. Browse our collection of Funny quotes and sayings. Share Funny quotes with friends and family.